Sebastian’s Butchery is a lovely local independent butcher’s shop based in Bidford-on-Avon in Warwickshire. We’ve been in in touch with owner Sebastian, who is passionate about sourcing quality British meat, for his top tips on wine pairing and cooking the perfect steak. So Sebastian, how did you get into butchery? I graduated with a degree in History in 2014. From 2013-2014 I became fascinated with food after watching Dan Barber on Chef’s Table on Netflix. From there I got to do a bit of work on my Uncle’s farm over the summer and my love of farming and the whole ‘farm to fork’ approach to food drew me in. This led to a permanent job on a farm, and eventually progressing into their butchery. I looked into Master’s courses in farming and applied for an MBA in Advanced Farm Management at the Royal Agricultural University. They required two years’ experience and I figured out that farming or working as a chef wasn’t for me. My love of butchery became more and more apparent, so I put myself to the graft of learning. 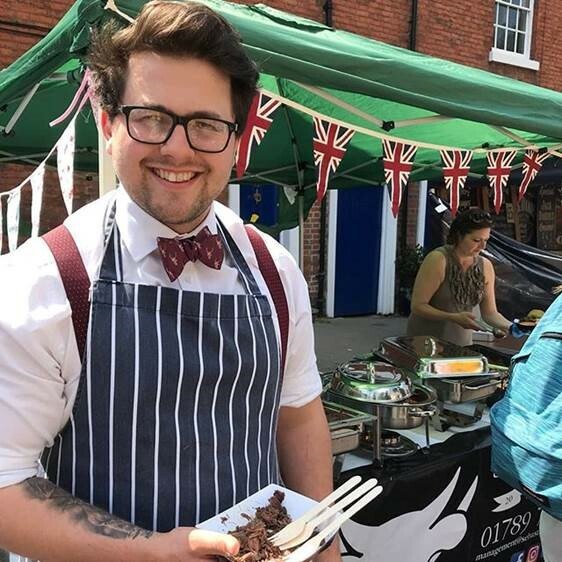 I have now been a butcher for a total of three years, and opened my own butcher’s shop in August 2017. Which cuts of meat would you recommend pairing with the different Beefsteak Club wines? Malbec is suited to leaner cuts due its softer notes, so I would say a rare bavette or a rare-medium Sirloin would be fitting. Perhaps even a Rump Pave steak. Tempranillo, a classic Spanish wine! I’m going to throw a curve ball and say that I love a gorgeous burger with my Tempranillo, something I often ate over the summer months! Don’t overcomplicate the burger, let the fat be the flavour with a little salt and pepper and allow the sharper red wine do its thing with the fat. Shiraz, I’m going to pair this with gamier meats, but something I have been experimenting with lately is goat which I find a classic Shiraz to go well with. What’s your best advice for cooking a tasty steak? Season well using salt and pepper after allowing the meat to come to room temperature. Bring a cast iron pan to good heat and add salted butter, cold-pressed rapeseed oil (to prevent the butter burning), add crushed garlic, rosemary and thyme and move it around a little bit. If we’re cooking a nice lean piece, slow introduce it to the pan allowing it a couple of minutes each side, and then roll the edges to seal it. Fattier meat would require less fats such as butter and rapeseed oil, and would require us to first cook the steak on its fat for a couple of minutes. REST it for as long as you cooked it and then slice AGAINST the grain breaking up any last fibres for truly melt in the mouth steaks.